The appeal of a complete Indian holistic and spiritual experience is no longer just restricted to Indians, in fact it is as much if not way more popular with foreigners. 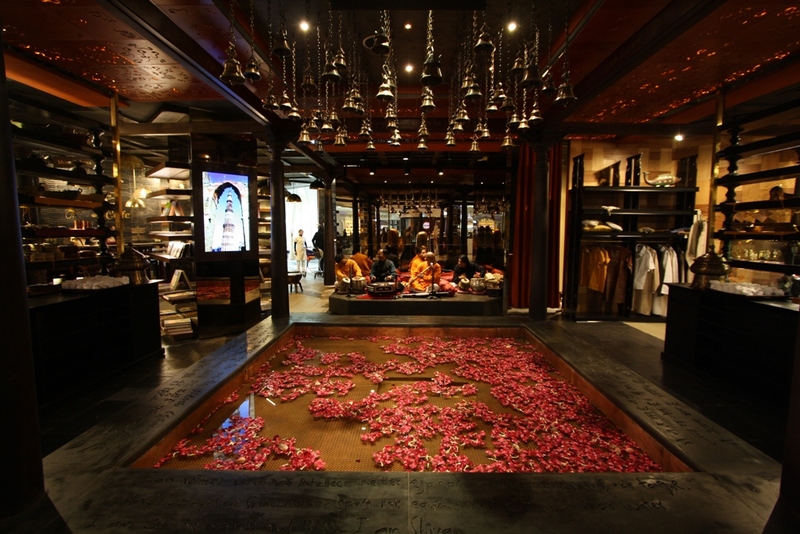 A lot of people come to India to seek such spiritual experiences, and in response to this shift in lifestyle, Ishana has been conceived by The Spa Group as an ‘experiential’ retail destination that brings together several aspects of Indian heritage, spirituality, arts and crafts, conscious living and lifestyle encapsulated in an enchanting ambience under one roof. Even though I must have passed by the Ishana experience centre at the T3 departure terminal, IGI International Airport at least 10 times in the past 2 and half year, I never really ventured into this store. The overtly Indian products on display and the Indian music playing in the background was not too much of an attraction for me, as I felt it is another retail store catered to attract foreigners as they return from India. Such an misconception that was, as besides being a retail store, it provides services like Ayurvedic consultation, Astrology readings, live dance & music performances, Mehandi application, live craft demonstrations and even express spa treatments and a small café so you can have a complete Indian experience before you board your flight. 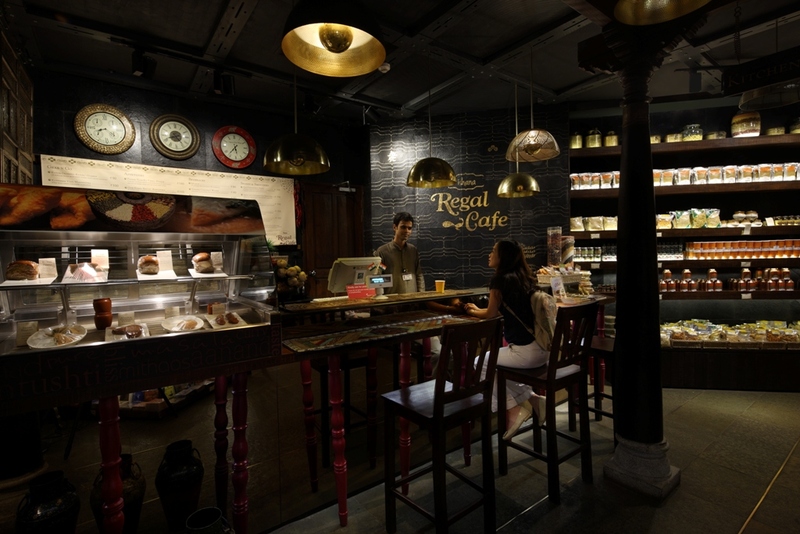 My experience began with first having a glass of “Aam Panna” at the Regal Café, a traditional Indian summer drink or original mocktail if you would like to call it, this is supposed to be excellent to keep the body cool in the summers. In fact all the drinks and the few snacks served here are kept as healthy and fresh as possible, keeping in mind with the theme of the experience. There are live musicians that play Indian music throughout the day and are often accompanied by Dancers who perform to Indian folk dances. The Ayurvedic section is the next section I visited, unfortunately the in-house consultant was on leave that day else you can get complimentary Ayurvedic consultation from the Doctor and can buy the prescribed medications or oils from the store. 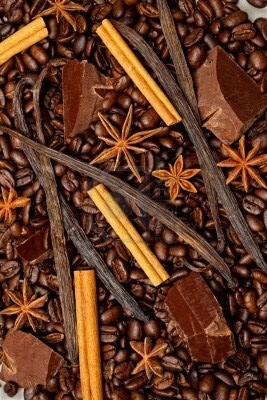 They also have a lot of Indian sweets and spices which you can carry with you to gift or simply take home with you. From here I sat down to get my palm read, which is again a complimentary service, so it is a quick 5 minute read. How true it will be or not only time will tell but one thing she did tell me was I used to have a managerial job (Well yes, being a Style Editor and team leader is more managerial that creative) but have now quit it and have moved to something in writing or studying (My Blog, and now teaching) Anyway, this will be my chosen profession now and I will get a lot of name and fame (Fingers crossed) but I will never make that much money from this profession. As in I will never have shortage of money but it will always be other peoples, namely my father, my partner etc. But the bright side, I will be very content and will do lots of great work and reach out to a lot of people (Yaay!). My partner himself will not be born in the same place as me, and in 2015 I move to live in another city for a while possibly to study. I then moved on to check out their spa service at The Nature Spa, which at the airport they have kept as express services and dry massages all for less that 60 mins. They do have a proper Spa in the city, which I will review and let you know about. The express service was brilliant. So firstly the massage chairs are placed such that you can see the hangar and planes taking off, I went in the day but I can just imagine how amazing it would look at night. As for the treatments, I first tried “Padma Vrinda” the foot massage for 30 mins (Rs.1,435), the only massage which uses oil, it is the perfect treatment if you are like me and are normally in heels, as it concentrates on your calves and sole of your feet. 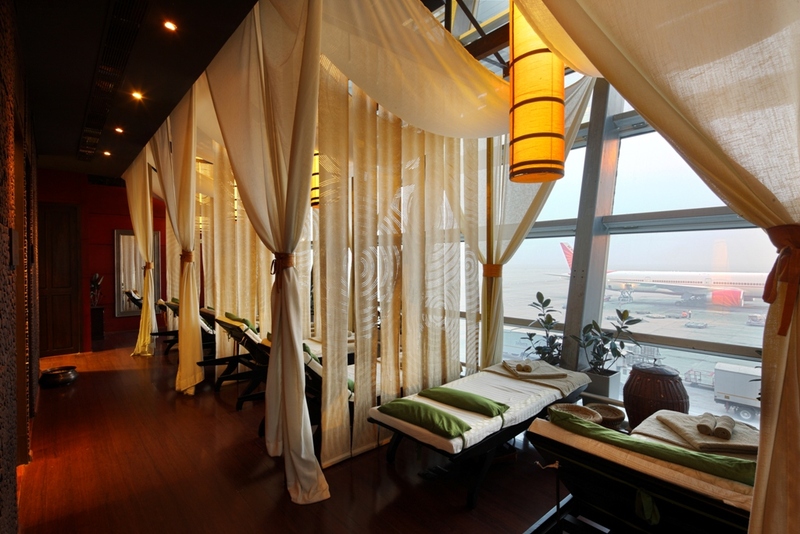 It is also an amazing treatment for the airport, which lets be honest are super exhausting. The next treatment I tried was “Prana Prasanga” the back massage for 30 mins (Rs.1,635). This is a dry massage done over your clothes. Again it is extremely relaxing and just the perfect thing if you have a hectic travel schedule or just don’t have time to go in for a proper spa treatment. I assure you, this is just the thing you need and you will have a restful flight. Finally before leaving the store I stepped into the healing pool for 5 mins, which is an ankle deep pool with a copper base and energized water, to remove pranic energy blocks from the human system. This water is energized by a lingam created through a process of yogic alchemy and consecrated by Sadhguru – Spiritual Master and founder of Isha Foundation, Coimbatore. It is the only other such structure in existence other than the ones at the Isha Yoga Centre, Coimbatore. 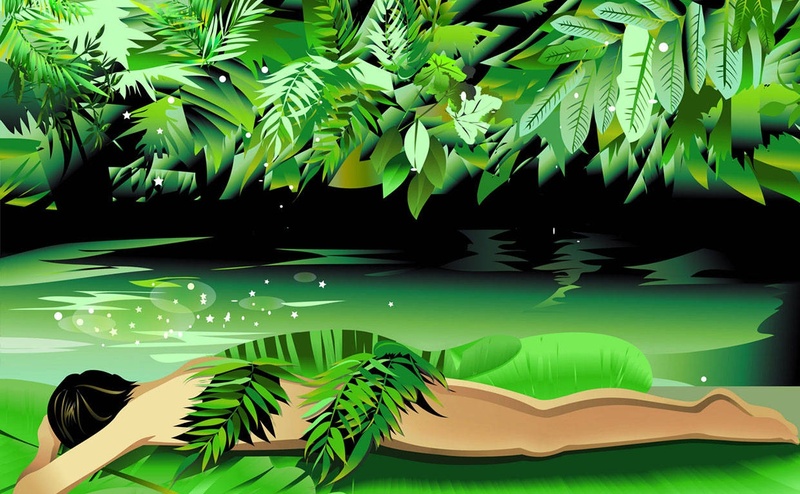 I don’t know much about the power of the pool or if it actually affects you as my spiritual beliefs are more inwards than outwards but when I got back from this experience I slept like a baby till my mother woke me up for dinner. So next time you are flying out from Delhi you know exactly what you need to do while you await your flight. In todays day and age with the world getting smaller, luxury may or may not be exclusive, but exclusivity definitely spells luxury. That is the best way to define The Imperial Hotel in New Delhi. They have always maintained an air of exclusivity and understated luxury. Like they themselves state and truthfully so, “The Imperial is a destination in itself”and a visit to The Imperial Spa confirms this statement. 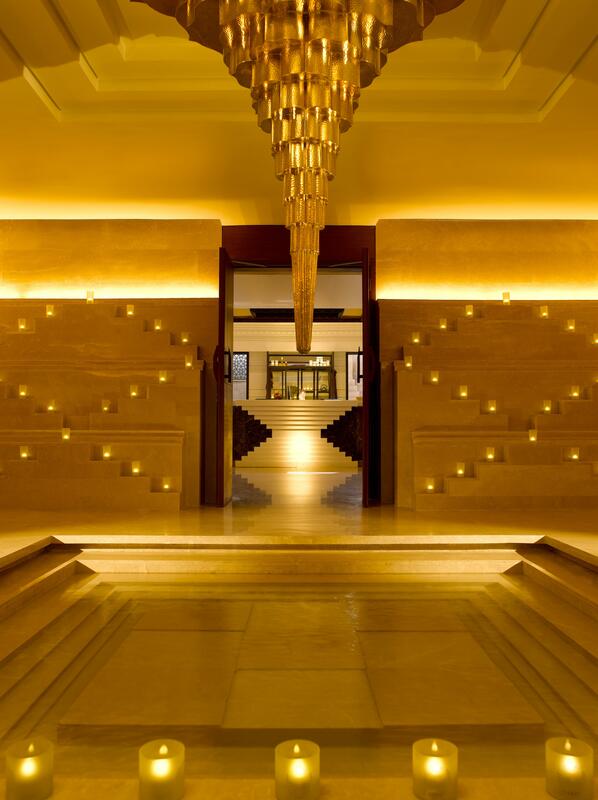 Spread over 16,000 sq ft Imperial Spa immediately evokes a feeling of harmony. Intricate Moroccan architecture interweaves the influences of Moghul and Indian motifs,embedded beautifully in different spaces. It has nine treatment rooms and a luxury private spa for couples called Moghul suite, a perfect abode to indulge in the signature therapies. The signature line of skin care at The Imperial Spa called SUFI was launched in February 2012 and a more recent launch was that of moisturisers, body creams and cleansers. Off these I have tried and highly recommend their ‘Night Rose Moisturiser’. It is perfect for dehydrated skin, which is what most of us have thanks to the pollution. Like the name suggests, it is reminiscent of a Mughal era with hidden notes of rose, fig and Jojoba seed oil. You can buy this from the Imperial Salon and I promise you will not be disappointed. With a strict media policy the Imperial is known to be very particular about their privacy and that of their guests, so much so that up until last month the Spa services were only restricted to hotel guests, but now from April 2013 the visitors can avail SUFI signature rituals at the all new SUFI massage room situated at The Imperial Salon. The Sufi Massage is what I went for during my visit to the newly opened Sufi room. SUFI signature oils are used to provide pure bliss through amazing treatments designed to deliver a deeply penetrating relaxation, restoring well-being and inner harmony. “Mahadeva” the oil that I selected, as the name suggests, transports one to an almost prayer like trance while the therapist weaves her magic with her fingers,the smell of the oil itself is enough to make you feel calm and relaxed, the treatment itself is a bonus! There are 6 oils you can choose from depending on what you are hoping to achieve from the massage, be it relaxation or pain relief. In essence, The Imperial Spa represents an insignia for absolute living and is a blissful sanctuary. 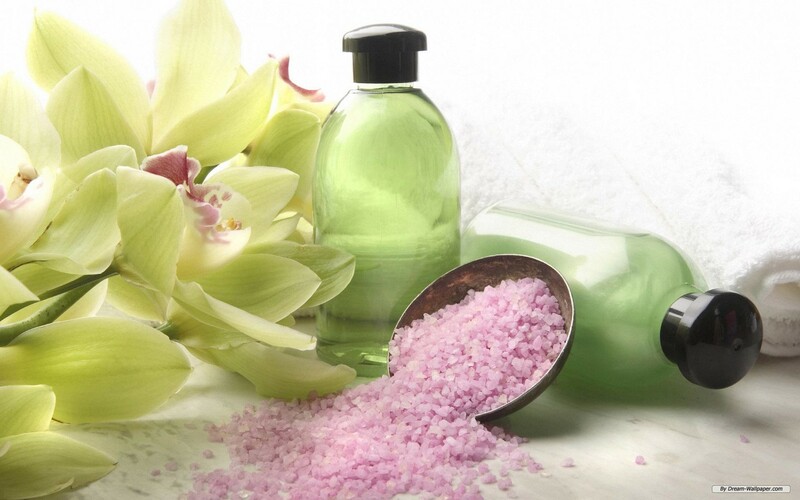 Whether you are a dedicated spa seeker or you simply wish to enjoy maintaining a healthy body and mind, its extensive services, unique spa packages, spa cuisine, personalized well-being programs and treatments, promise to take you on an exquisite journey, rejuvenating the mind, body and soul. 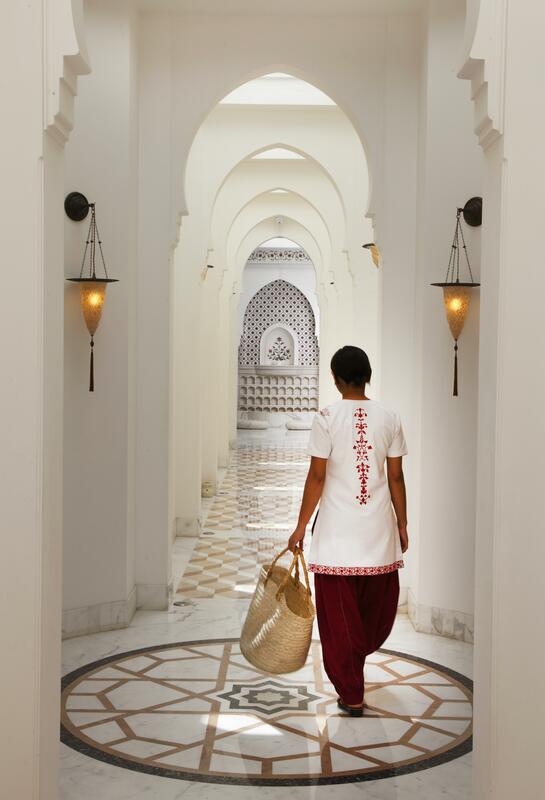 In the words of Jacqualine Tara Herron, Director The Imperial Spa, Salon, Health and Racquet Club, “The Imperial spa is designed to purely de-stress and rejuvenate your senses, taking you on an exquisite journey, inspired by India’s rich spiritual wisdom and heritage. 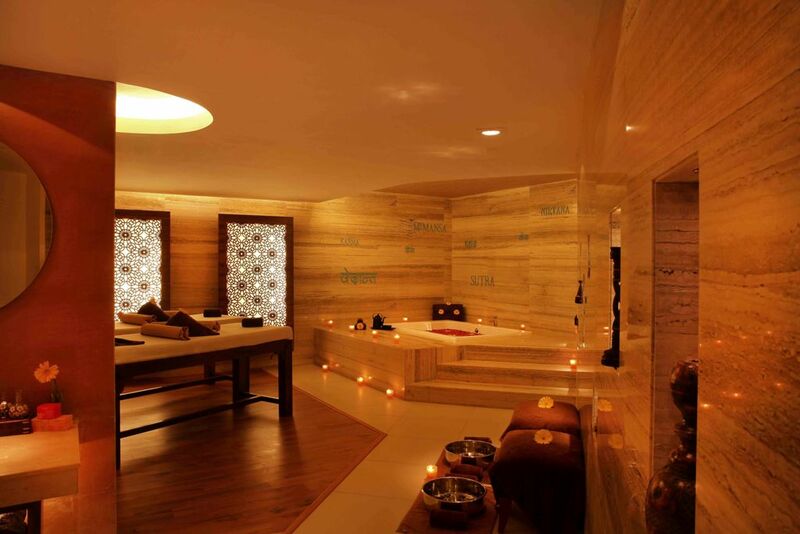 A visit to the spa is truly an experience of a world of regal luxury and ecstasy. Poetic verses engraved at select points peppered with significant phrases enlighten one’s soul and provides profound understanding of the philosophy. Our ambient and enchanting therapy suites and relaxation spaces are designed to give you a magical and unforgettable experience of belonging to a world full of peace, consciousness and benevolence”. So do take the time out to indulge in this fabulous journey the next time you are in the city. And if you already live in the city you have the option to go in for a massage in the Sufi Room now open to visitors. Spa for most of us means a place where you get a massage. Which is actually not the case and the Westin, Heavenly Spa shows us why. 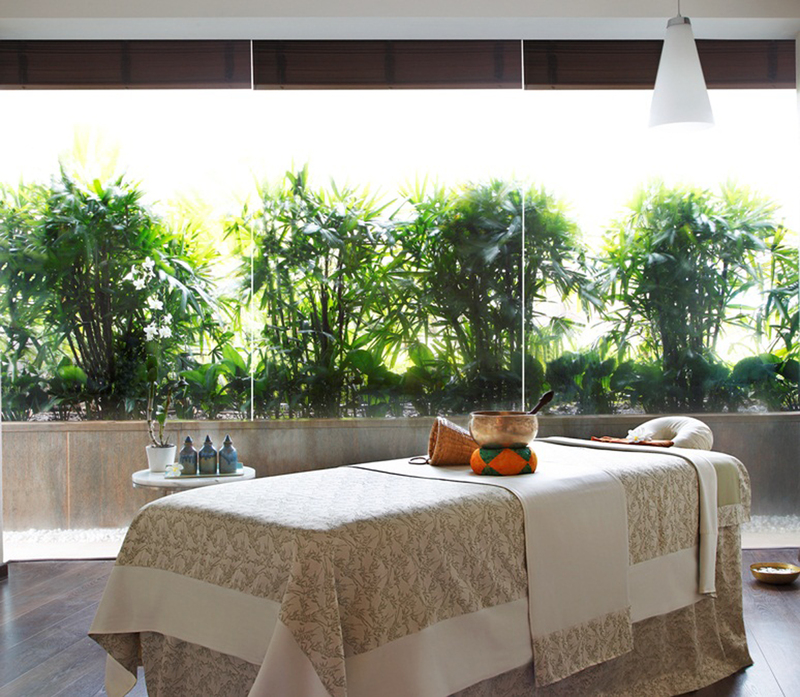 The concept at Westin Heavenly Spa is to create a complete wellness experience. This is done by focussing on the body, mind and spirit simultaneously to promote longevity and good health. 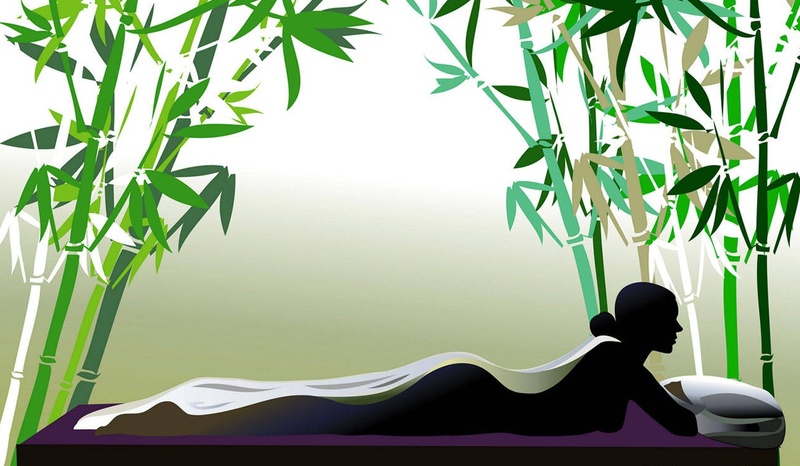 Even the tag line of the Spa is restore the body, expand the mind. The treatments are divided into HEAVENLY TOUCH which includes a variety of massages, HEAVENLY GLOW which includes facials and other body wraps, HOLISTIC WELLNESS which has many Ayurvedic therapies and massages, YOGIC WELLNESS where Yoga practices are incorporated to suit and compliment you body and mind. Besides this there is also a special Spa Cuisine available at Splash. As you can see the menu is vast and will take me more than one visit to really capture the complete essence of the place but I decided to go in for the Harmony massage, which as the name suggests is meant to restore balance and harmony back to the body. Before the treatment I go in for a steam, here they have infused Eucalyptus oil into the Steam which is supposed to be great for any ailments such as cold cough and in my case my bothersome Sinus. For once I did not feel like rushing out of the steam room as I could actually feel the oil open up my sinuses and I wanted to take full advantage of that fact. From the steam I head for a quick shower and then go in for my therapy. As I had mentioned earlier, at Westin it is not just about a massage but also wellness. So my therapist starts with soaking my feet in warm water and using mineral salt to clean them, while reciting a shloka through the process. She reprimanded me for crossing my hands which I agree is a bad habit since the salt is meant to remove negativity and if you cross you your hands or legs the energy flow gets stalled. From here begins my Harmony treatment which is basically a combination of Swedish massage and Aromatherapy. The long gentle strokes with firm kneading movements done to increase circulation, combined with the smell of the aroma oil has a very soothing effect. The therapist begins the massage with my feet and slowly moves her way upwards. As the warm oil seeps into my body I can feel my aches slowly fade away and I am entering a state of absolute bliss. This goes over an hour and she slowly kneads on my muscles combining that with gentle strokes. The last 10-15 minutes she spends massaging my face and head. More like pressing the correct pressure points and releasing stress. The treatment ends with her gently tapping a singing bowl over my body. From here I go for a shower and decide to not use any soap as I really want to let my very dry body soak in the oil. The post therapy consists of a cup of tea, with options varying from Basil to Chamomile to Green tea. I stick to the green tea and then go back very relaxed waiting desperately to get home and sleep, which I do very soundly that night. After my first few days in Delhi I started feeling physically and emotionally drained. I have been away really long and lots has piled up. When I got a chance to review The Claridges Spa I was more than excited to take it up.Sprawled over 15,500 sq ft, The Claridges Spa embodies the essence of the historic Surajkund, in its neighbourhood. The name is reflective of the two primal energies of life – fire and water. The concept and design are inspired by ancient Indian Baoli (reservoir). The main room leading to the therapy rooms showcases this concept, with a gold sculpture representing the sun directly over a body of water inspired by Surajkund.The over all colour scheme is neutral and subtle with about 10 therapy rooms including a 770 square feet,couple suite which allows a combination of treatments for couples and is the perfect getaway for a “time for two”. These traditional techniques overcome stress and promote serenity with the use of natural remedies and enriching oils.The lifestyle boutique perfectly complements the spa,the boutique offers exclusive products like international skin and body care products, lifestyle items like candles, tea, lounge wear, bathroom amenities & toiletries, books and music.The Spa cuisine & Juice bar offers a selection of freshly squeezed juices. The menu is based on the goodness of fresh & healthy ingredients. The treatment I was getting today was Aromatherapy. As my therapist Sangtei explained to me this treatment done with Aroma oils is very rejuvenating and relaxing perfect to de-stress. The focus is mainly on the back and face pressure points using Aroma oils. Keeping to the Fire and Water elements I began my treatment with a shower and a 10 minute steam, which is wet heating which helps to open pores. After which I was encouraged to apply ice from the ice-fountain outside the steam room on my face so it can shut the pores and ice is supposed to be good for giving my face a glow. Post this I went in for a 5 min Sauna which is dry heating. We then move into the treatment room, where I am encouraged to test 3 different aromas to choose which one I want to use. All products used are from Aromatherapy association a UK-based brand and I end up selecting Renew Rose. She asks me if I have any problem areas and I decline but ask her not too massage to gently. I like a bit of pressure. I then lay on my stomach while my therapist gently massages and kneads at the muscles on my back. There is a pleasant music playing in the backdrop and I can slowly feel the tensions of the past few days melt away. In this manner each area of my body is individually massaged and the knots are eased away. Finally she moves on to my face where she presses on the pressure points on my face which I did not know existed or could help calm me down so much, ending with a head massage. Sangtei, after completing my 50 min massage tells me to leave the oil on my body for atleast 2 hours so it can get soaked up into my body and I can feel its benefits for a few days. Like she said the oil genuinely worked and I could feel my skin supple and light for close to 36 hours after my treatment. I can’t wait to go back there to try their signature ‘Surajkund Ritual’, which combines cleansing body scrub, advanced four-hand synchronized massage and the healing properties of hot stones. Come summer and my skin looks like I have just walked out of hell. No seriously. I have a terrible memory and in winters because the weather is so dry my skin constantly reminds me to moisturize itself, but in the humidity of Mumbai summer I never remember. Hence my skin is dry, I get dark patches and of course am completely tanned, cause well, who isn’t? So when I got a chance to do a review for iLa De Sva Spa at Sahara Star Mumbai, I jumped at the opportunity. The Spa, Gym and Parlour have one common room and then each has a separate waiting room. As I waited for the manager in the Spa waiting room I noticed the decor which was earthy and soothing but was not over done with Asian elements. It had nice comfortable seating, with warm lighting and wall art. Before reaching the venue I had been convinced that I will fo in for an anti-blemish/ de-tanning treatment but when the Spa manager saw the sorry and dry state of my skin he straight away suggested I go in for the iLa SVA Rose treatment. It is a signature treatment offered by iLa De Sva Spa. Rose which is known as the queen of flowers also has a lot of therapeutic advantages. Rose essential oil is a complex oil with 300 constituents and acts as a gentle yet powerful stress reliever. The therapy begins with a 10 min steam. This is to open up all the pores of the body cleanse out the skin. During a steam as we know we sweat profusely and this is to detoxify the body and flush out the impurities. From here the next step is an all body scrub. This is a 30 min process and they use herbal ingredients which is mixed by the therapist as per the customers requirement. My therapist Christine had told me that the scrub has great softening and rehydrating qualities which I felt instantly after I rinsed off the scrub. And for 2 days post the treatment I felt the smoothness on my skin. After the scrub and shower the next step is a 60 min oil massage. This is a gentle massage where the idea is to not only ease out the tensed muscles but also let the oil soak into the skin and hydrate the skin. Honestly this oil is some magic oil, for within 15mins of the massage I could feel my stress ease away and my skin felt very light. Though the treatment was brilliant my therapist told me it is essential with the kind of hectic lifestyle I lead that I come in for this treatment at least once a month and then within a few months my skin will gain back its lustre. Well I am definitely tempted to follow her advice and go back for the treatment again in a month. I suggest you try the same. They also offer other treatments like iLA Sva Glow scrub which is perfect for brides to be and Hyper pigmentation treatement which is great to reduce the dark spot on the skin. Usually, when I go in for spa reviews it is in the middle of a hectic week and I always end up changing the appointment to the shortest treatment available. This time however to my absolute delight, I ended up booking the appointment on a day which happened to be a sudden declared holiday. So besides wanting to kill all the people on the road from my commute to Andheri to Colaba I reached really enthusiastic for my treatment. I sit down with a cool welcome drink in the serene white reception and take out my blackberry to start checking mails. I am completely aghast to see there is no network. Well yes, that is the point the of relaxation I am told by my hostess, while I sheepishly put my phone back. She continues to give me a quick brief on the products used in the treatments. SOTHYS- A pioneering brand in the world of beauty salons and spas, Sothys has been recommended by professionals for over 60 years. Sothys world renowned Digi-Esthetiques forms parts of all their treatments. The method combine finger pressure, modelling and drainage to reinforce the efficiency of the treatment. RAMBURI- Using age old knowledge of herbs, vegetables and fruits Ramburi creates spa products that use naturally active ingredients for visible results. All Ramburi products are made In Thailand. CNANN- Containing no synthetic chemicals only the finest quality natural ingredients are utilised to create this highly luxurious range. CNANN products contain natural healing and rejuvenating properties of organic botanical and essential oils. Finally I am taken to my therapy room to start The Palms Spa experience. We begin with a hand and foot scrub. This is the first stage of the treatment done with hydrating milk and honey. The entire process is about 30 mins long and I can feel the grime being scrubbed away from my skin. After this I am wrapped in a yogurt, honey and pomegranate body mask and while I am lying down my therapist gives me a light head massage. Needless to say after this point it is very difficult for me to keep track of anything but get lost in absolute bliss. From here starts my 60mins Balinese body massage. I can safely say I could feel the stress fade away as she worked her soothing fingers through the knots in my body. I think I took a short nap during this, for next thing I was informed is that it is time for my shower, while she prepares the room for my facial. Half in a daze I go ahead for my shower. I promise by now I felt like my body was feather light. The final step of my treatment was the raspberry and rhubarb facial. The after effects of which were for everyone to see as I received compliments wherever I went for the coming week. All in all I cannot wait to go back and try their other treatments, specially the Jet Lag Package which is designed for frequent travellers and is meant to revive the body and mind. They also have executive Spa experiences for men which are great gifting options to the special men in your life.